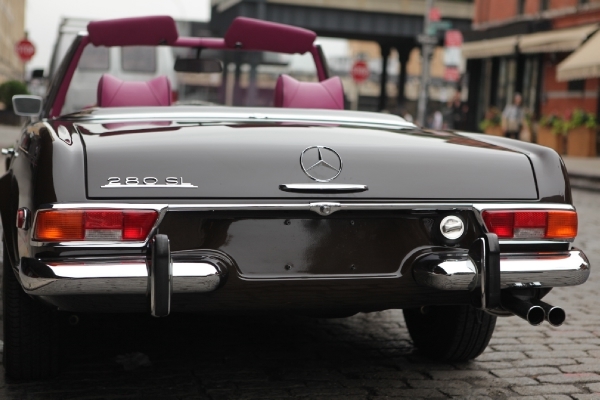 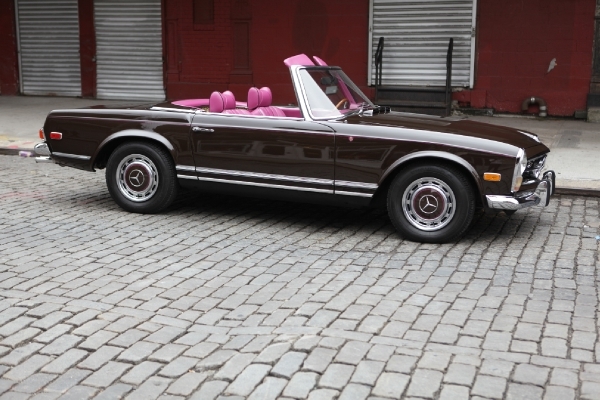 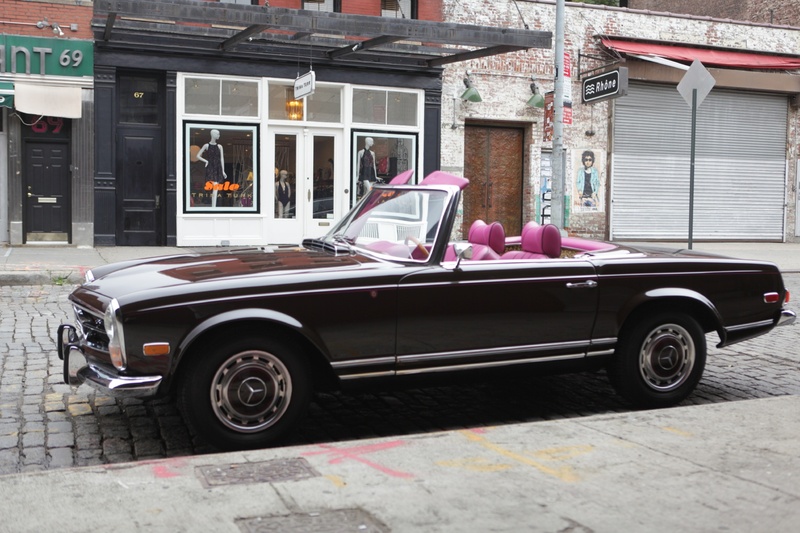 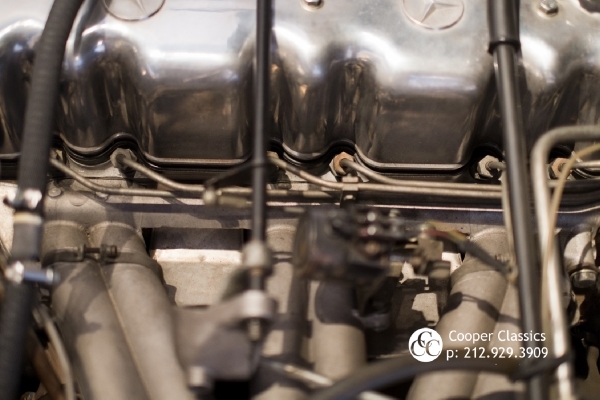 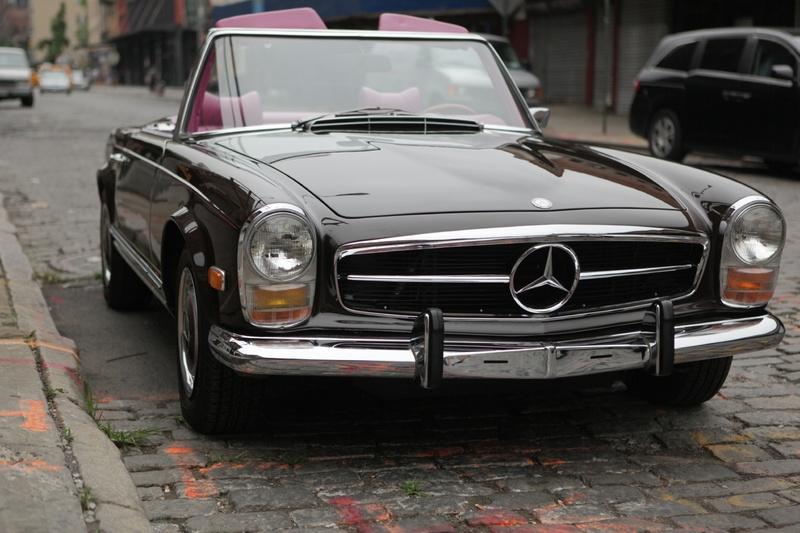 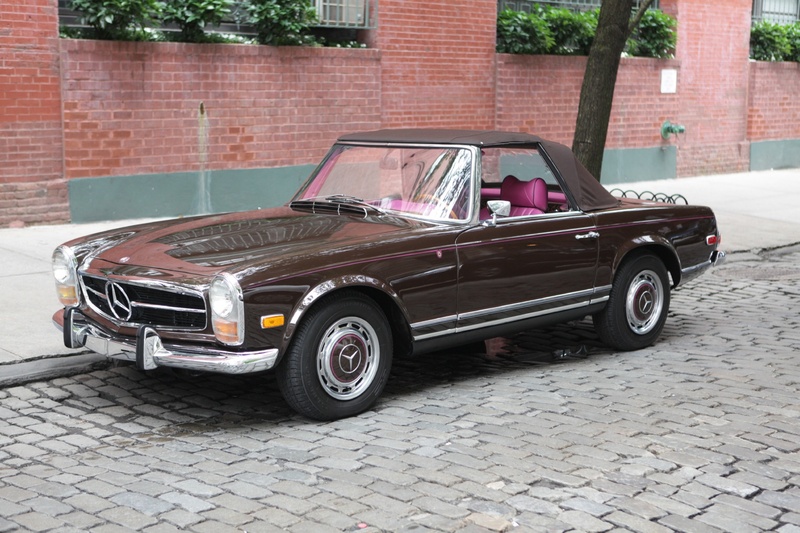 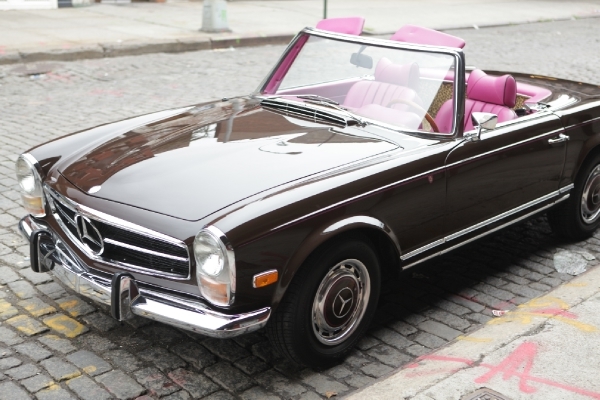 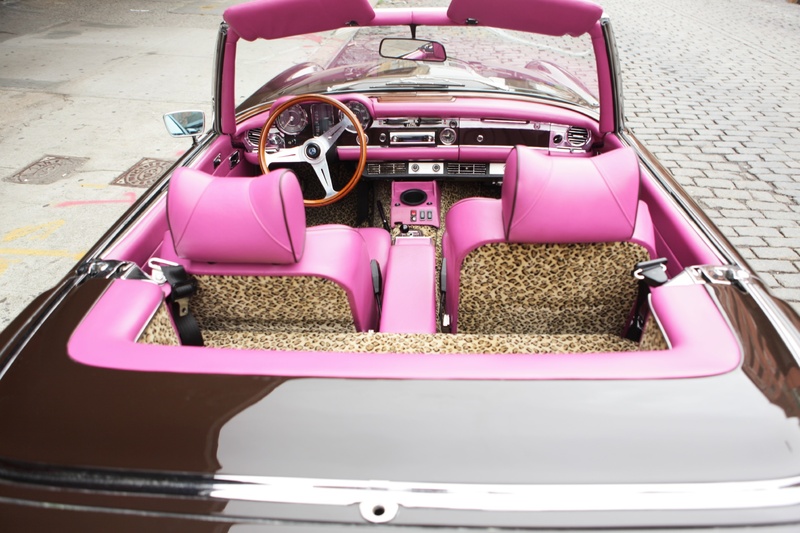 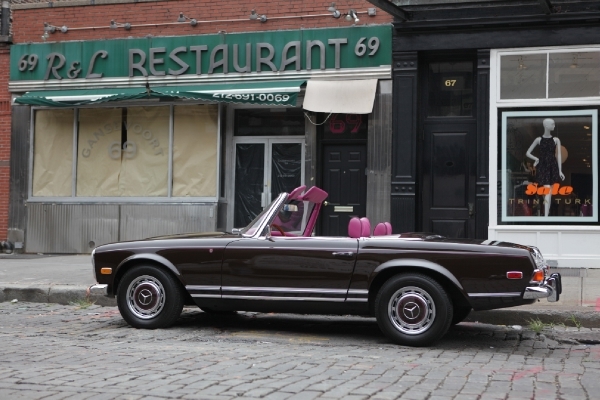 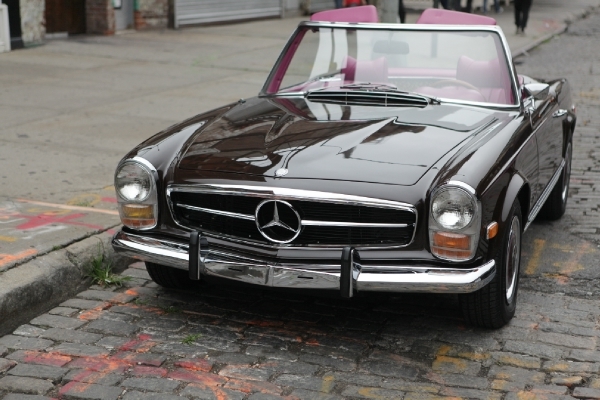 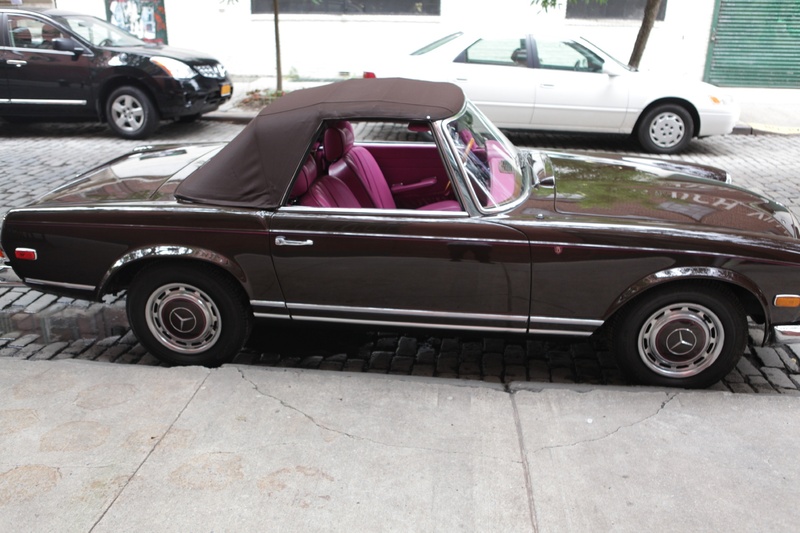 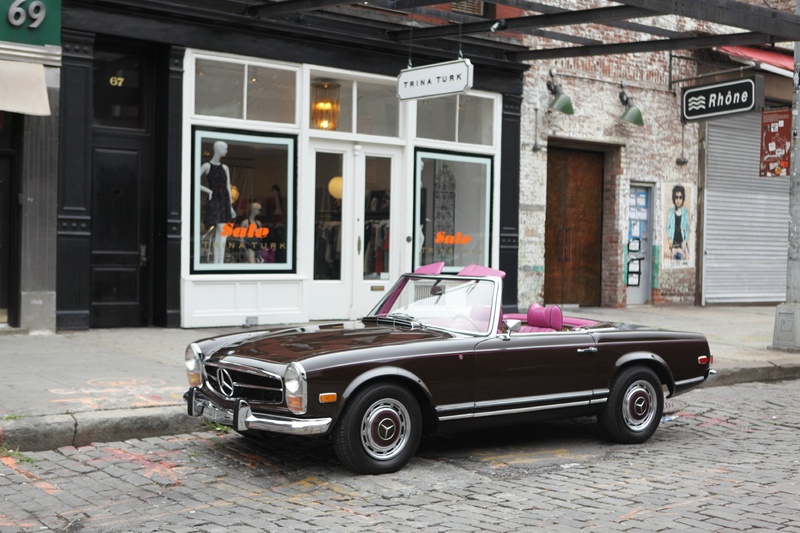 This 1969 Mercedes-Benz 280SL Automatic is Tobacco Brown with a matching Brown hard and soft top and an outrageous Fuscia and Leopard print custom interior. 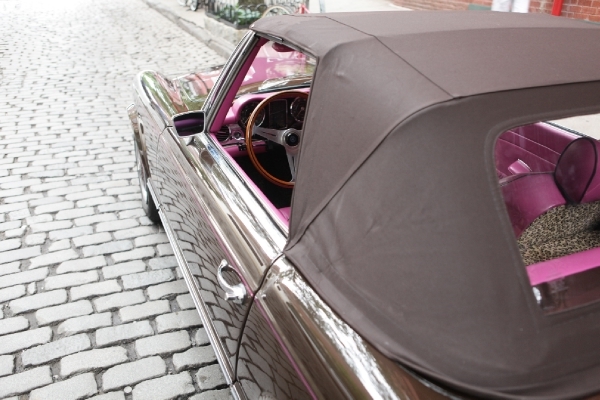 The hard top and trunk have a unique custom lining as well. This 280SL was specially designed by a high profile figure with a Betsey Johnson style interior for his wife in Beverly hills with no expense spared. The car is an Automatic with Air Conditioning. 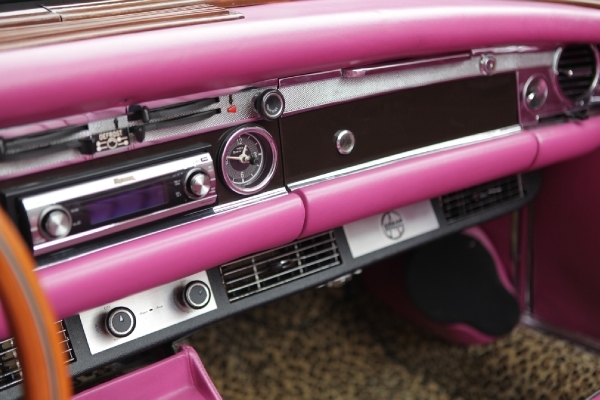 While in their possession the car recently underwent extensive upgrading. 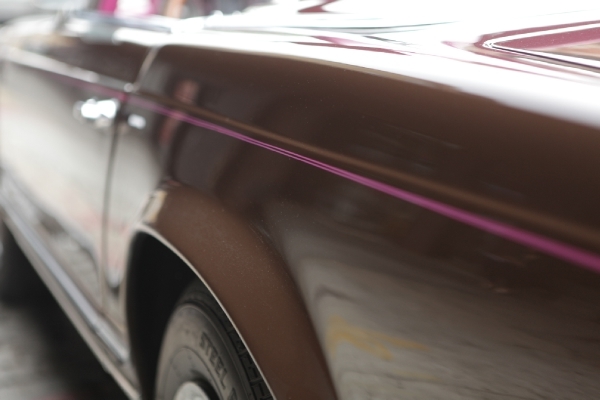 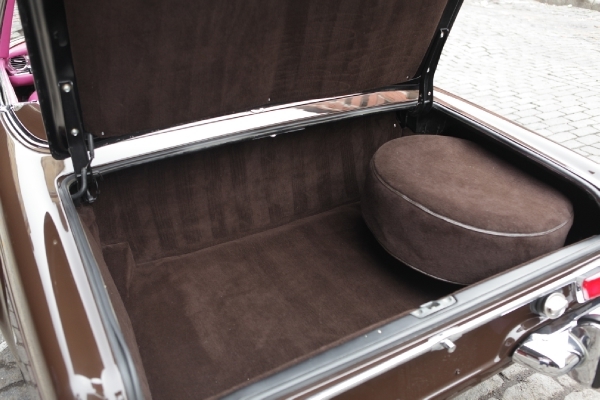 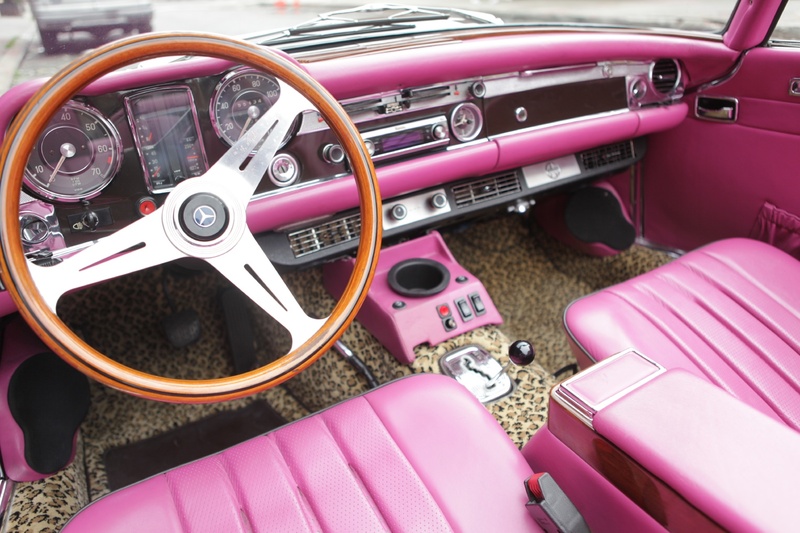 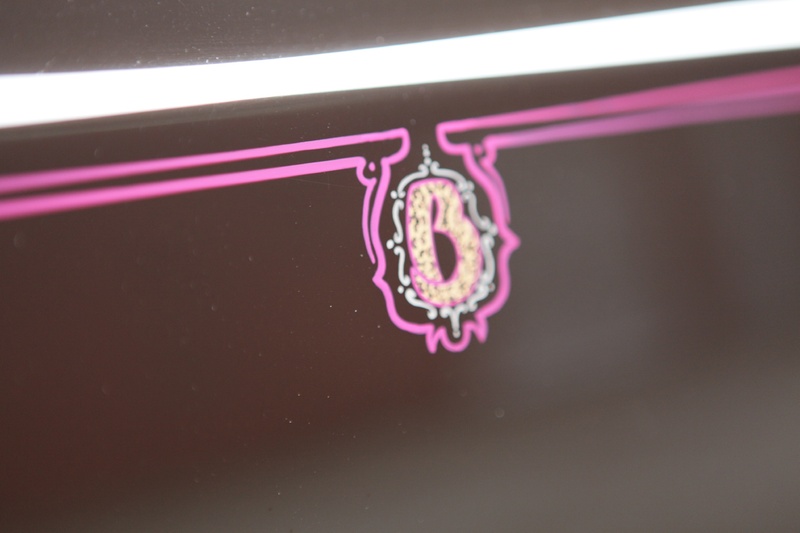 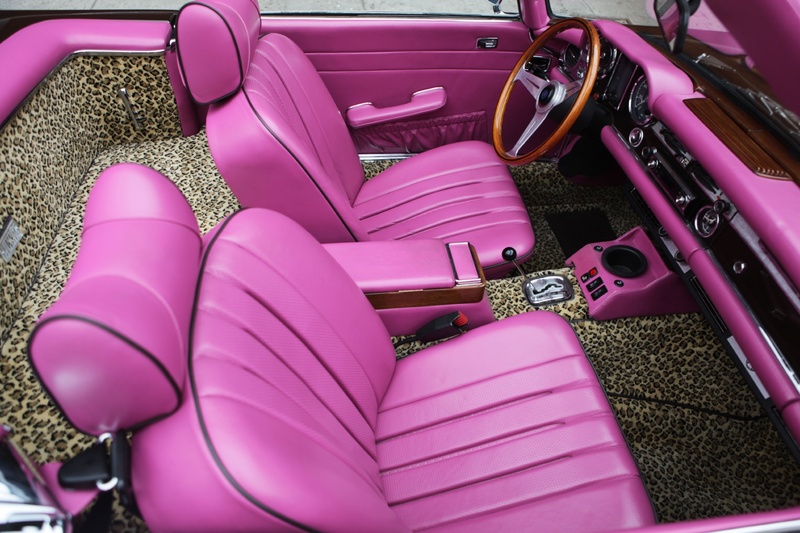 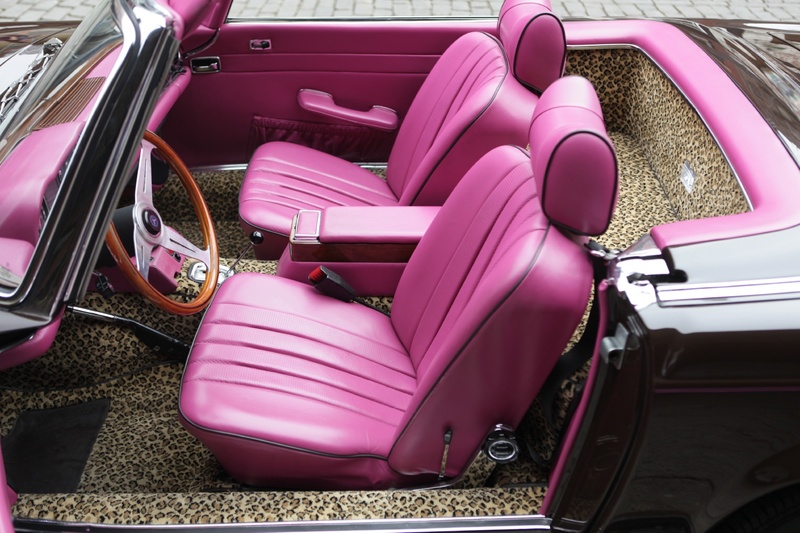 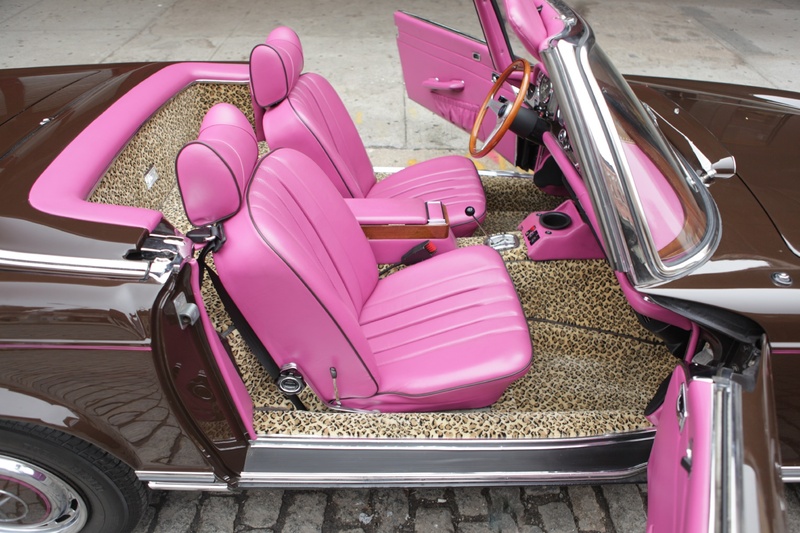 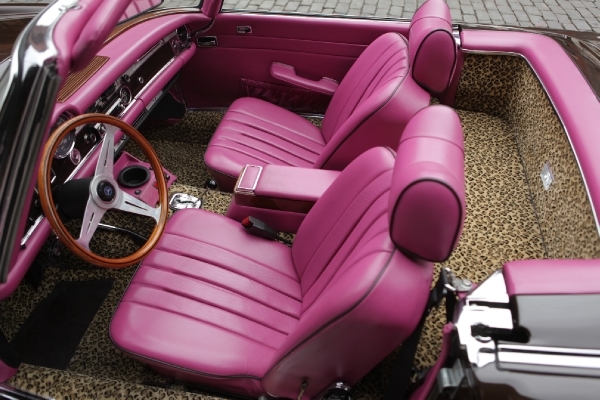 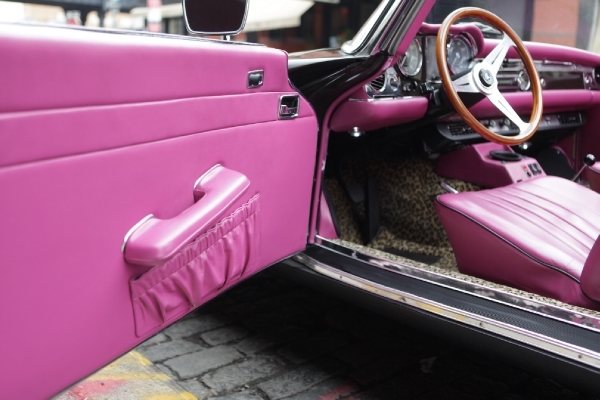 This included the custom interior, which was made with Ralph Lauren carpeting and the finest automotive Fuscia leather. 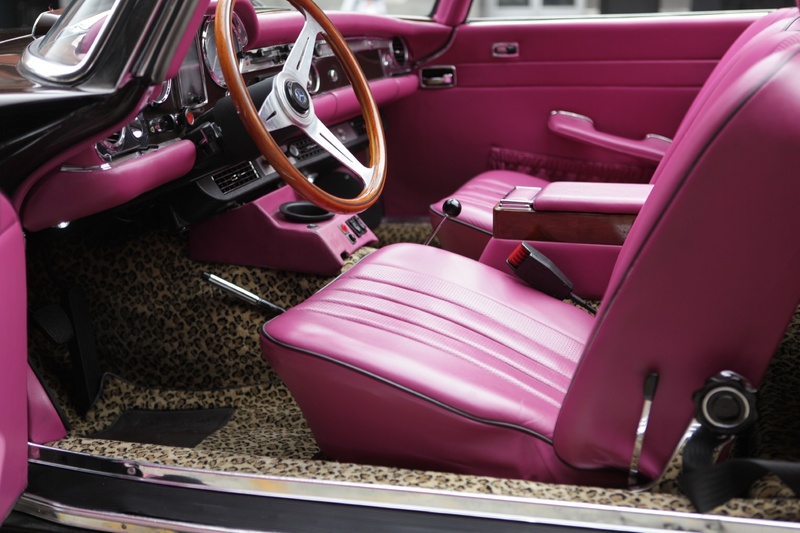 It also included a Nardi steering wheel and modern comfort features such as LED lighting in the trunk and cabin, an updated audio system, automatic windows, remote control door locks, and a run flat spare tire. 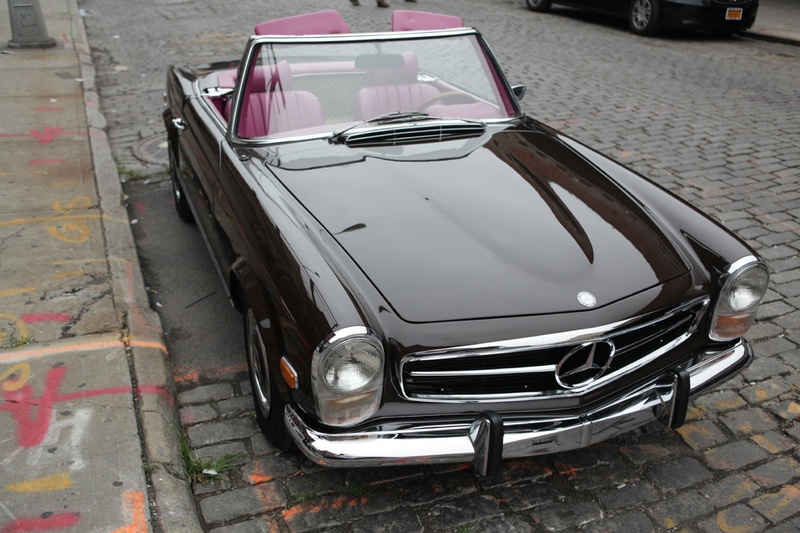 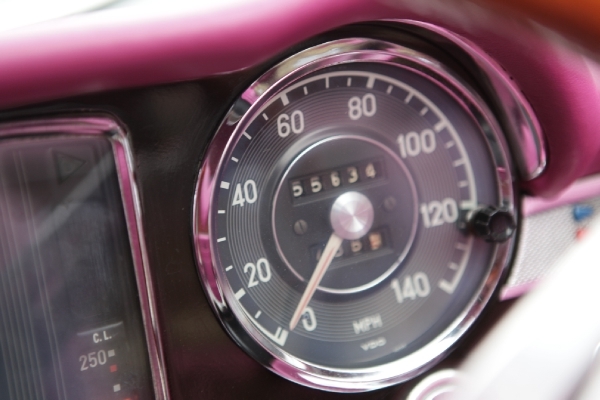 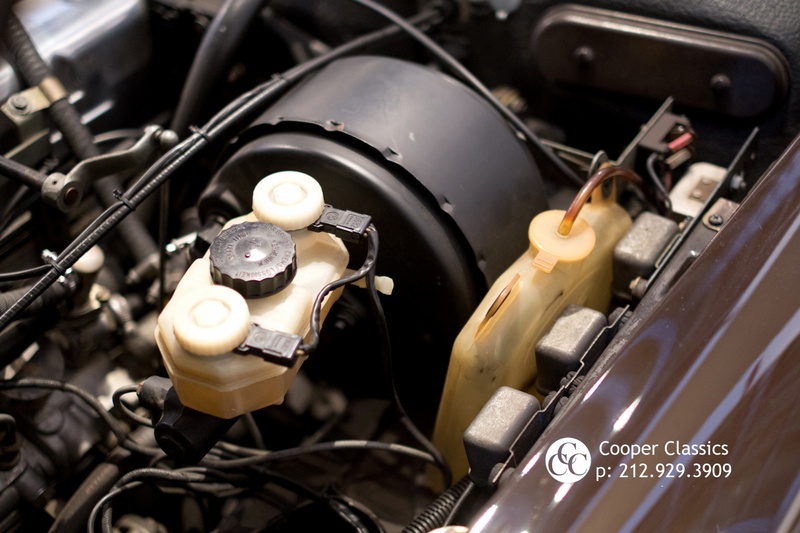 The car is an excellent rust-free California car that has only travelled 56,000 miles since new. It is one of the best driving 280SLs we have driven and performs as a well sorted 280SL should. 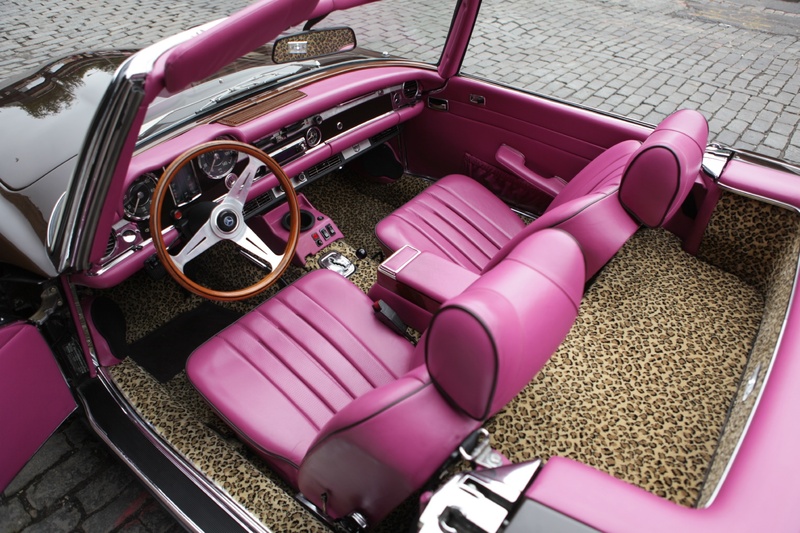 The paint, wood, and chrome on the car are all excellent and the interior looks like new. 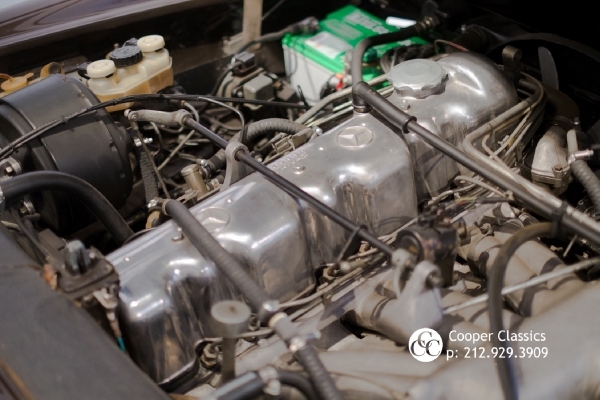 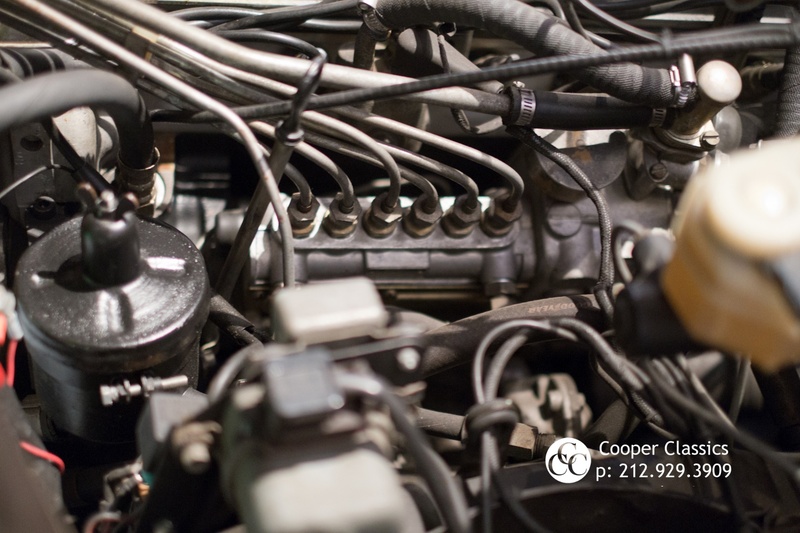 For anyone looking to make a serious statement and still drive a desirable and collectible car in terrific cosmetic and mechanical shape, this car would be an excellent choice.